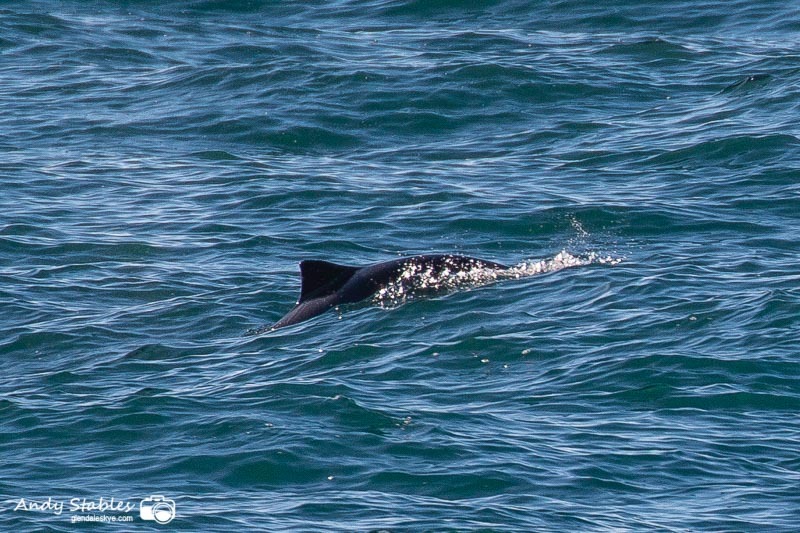 Find out what's around in Glendale, Isle of Skye, with our regularly updated wildlife sighting and nature reports. If you see any interesting or unusual wildlife in the Glendale area, please or give Andy a call on (01470) 511354. For the very latest information about recent bird sightings on the Isle of Skye, please visit Bob McMillan's excellent Skye Birds web-site. You can sign up to receive text alerts directly to your mobile phone when there is an aurora here in Glendale by following my twitter feed at : https://twitter.com/SkyeAuroras and enabling SMS notifications. See photos of every aurora borealis in Glendale since Autumn 2011 here. There were two swallows and a linnet feeding around Neist Point Lighthouse, mid morning. Swallows are still scarce, these being only the 2nd and 3rd birds of the spring. A magpie was seen again at Waterstein, late afternoon (Brian Smith). There was a greenshank on the white beach at Lower Milovaig, early evening. There was a stunning male merlin sitting on a fence post on the bottom road in Lower Milovaig at 9:15am. There was a merlin hunting along the bottom road in Lower Milovaig at 2pm. There was another linnet back at Upper Milovaig, late morning. The first two returning linnets of the spring were at Lephin, mid afternoon. 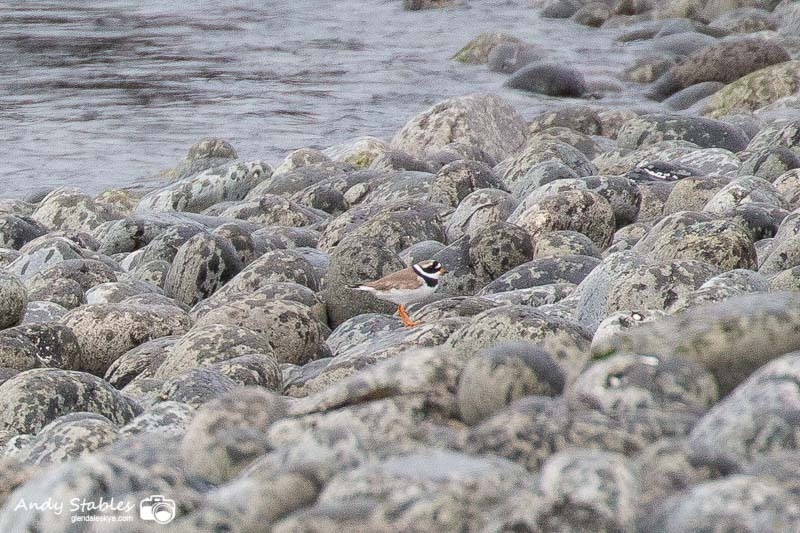 The first common sandpiper of the spring was at the black beach in the afternoon (Alison Stables). The first swallow was feeding over the willows between the roads at Lephin, late evening. There was a singing male willow warbler at Lephin in the morning. 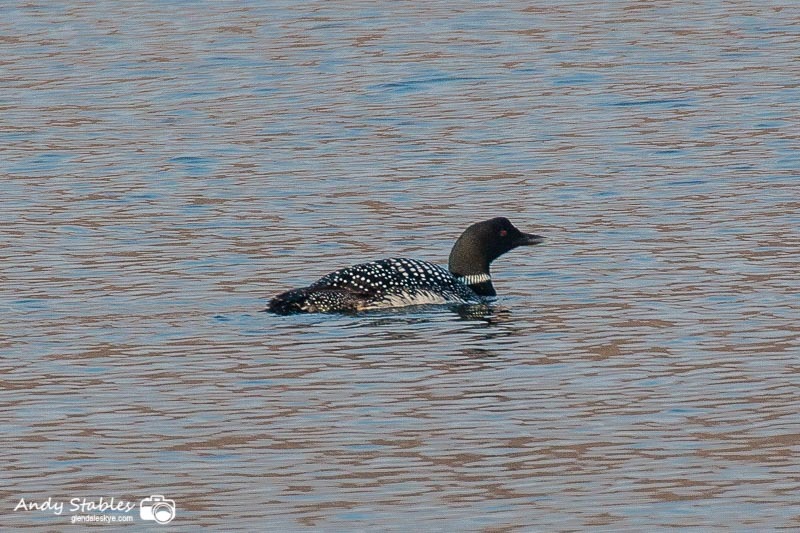 There was a stunning summer-plumage great northern diver off Meanish, late evening. The first redpoll was back at Lephin, early morning, and the first singing male willow warbler was back in MacDougal's Spruces, Lower Milovaig, early evening. A greenshank flew NW over Meanish and out over the sea towards North Uist. The first two sand martins of the year were at the mouth of the Hamara river, early morning (Lynden Schofield). 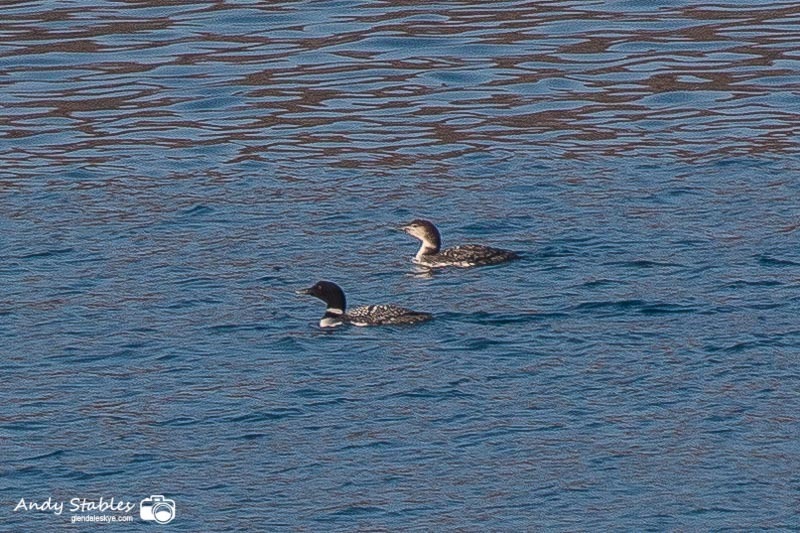 There were four great northern divers off Meanish and a single merlin on the bottom road in Lower Milovaig, late afternoon. There were eight white-tailed eagles together at Neist Point this afternoon putting on a fantastic aerial display of tumbling and diving. Two even locked talons and dropped from a great height, breaking apart just moments before they would have crashed into the sea. 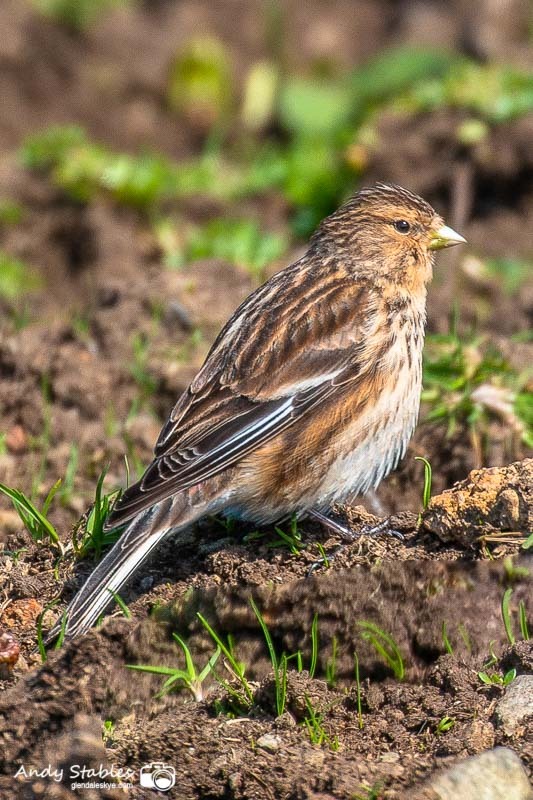 The first twite of the year was back under bird feeders at Feriniquarrie in the morning (Lynden Schofield). There was a magpie in the garden at 5 Waterstein that took off towards Waterstein Head at 1:25pm (Will Mann). 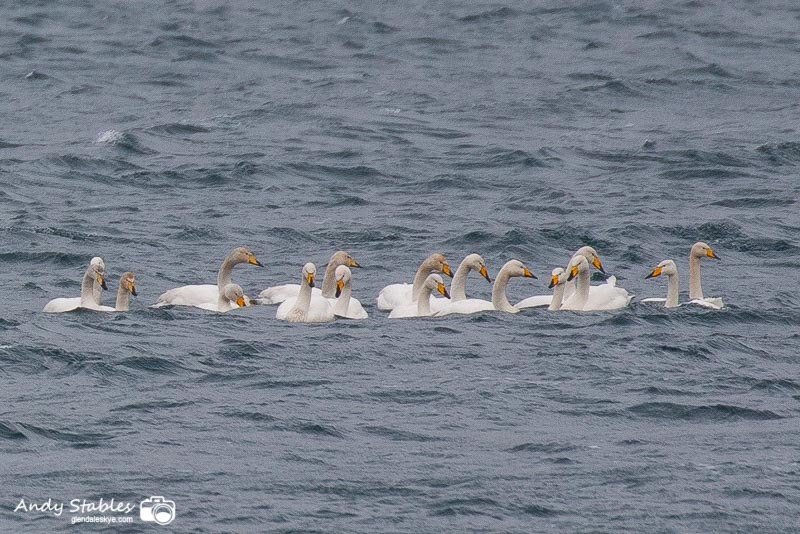 A group of 37 whooper swans landed on Loch Pooltiel, off Meanish, at mid-day and stayed the afternoon. There was a single white wagtail at the seaward end of the Milovaig loop. 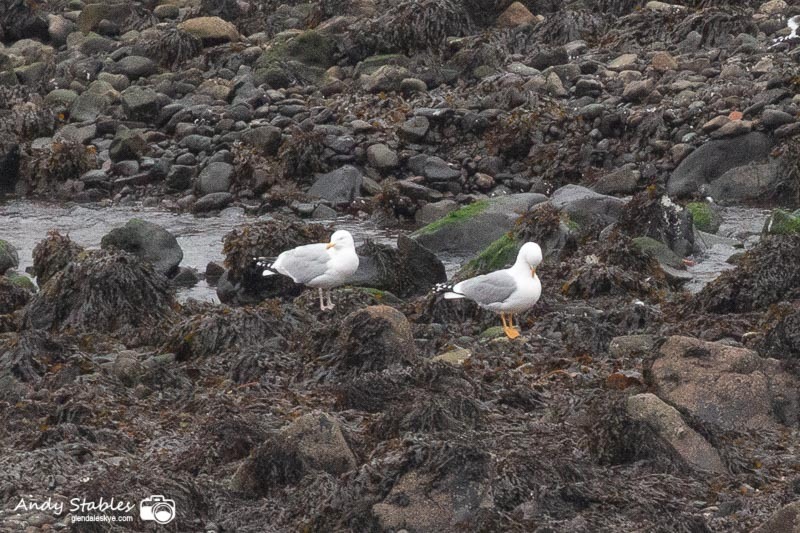 The yellow-legged gull re-appeared and was sitting on the white beach at Lower Milovaig at 12:45pm. There was a big influx of wheatears, with 37 counted around the Milovaig loop including several females. There were sixty redwings at Lower Milovaig in three groups. There was a sub-adult white-tailed eagle soaring high at the seaward end of the Milovaig loop, late morning. There were three adult black-headed gulls on the white beach at Lower Milovaig, the first returnees of the spring (Alison Stables). 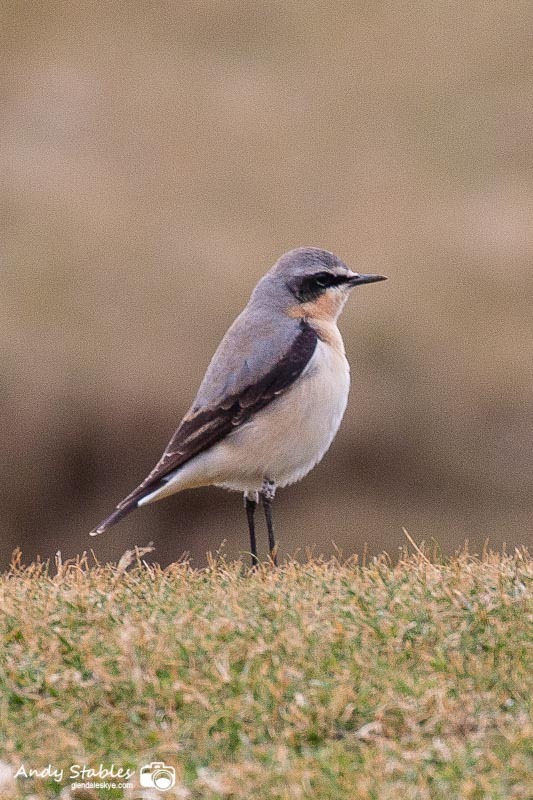 The first wheatear was back, a male, below the bottom road in Upper Milovaig at 8am. Another male wheatear was at Neist Point. 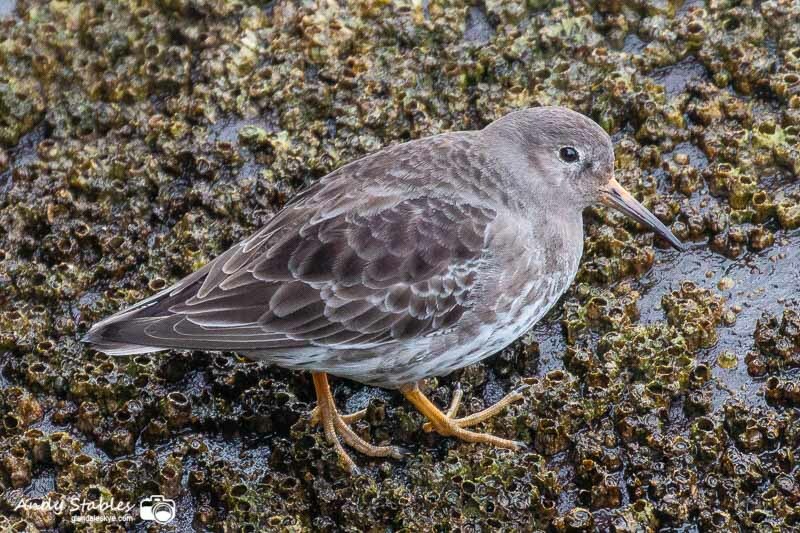 There were eight purple sandpipers at Neist Point and 50+ meadow pipits. Ten meadow pipits were observed flying out over the sea from Neist to North Uist. There was a significant passage of birds heading north past Neist Point including: several hundred razorbills, 100 gannets, 40 + 33 whooper swans, 29 white-fronted geese and a white-tailed eagle. There was a significant influx of pied wagtails, with several at each of Neist, Waterstein and Milovaig. There were 13 goldeneye, displaying, 3 little grebes and 2 redshank at Loch Mor (Lynden Schofield). A group of 85 whooper swans flew along the Hamara and out to sea over Loch Pooltiel (Lynden Schofield). There was a flock of 20 meadow pipits at Lephin, late afternoon. 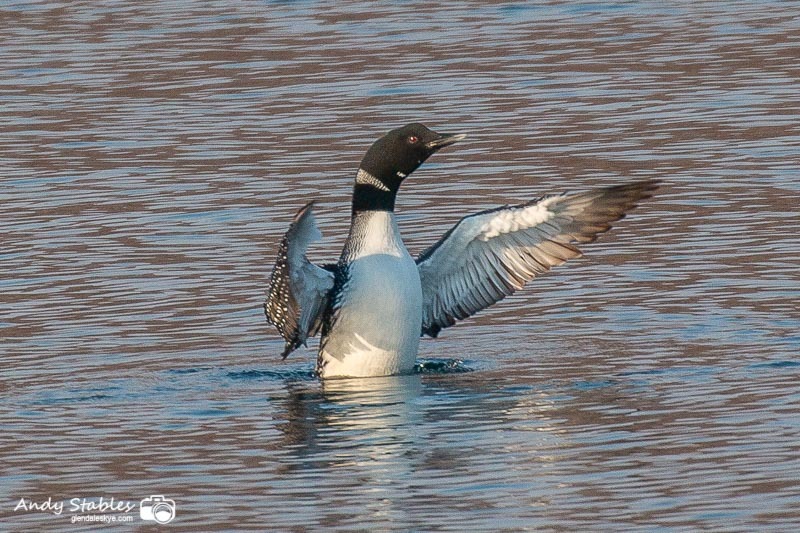 The first sizeable arrival of returning birds this spring. 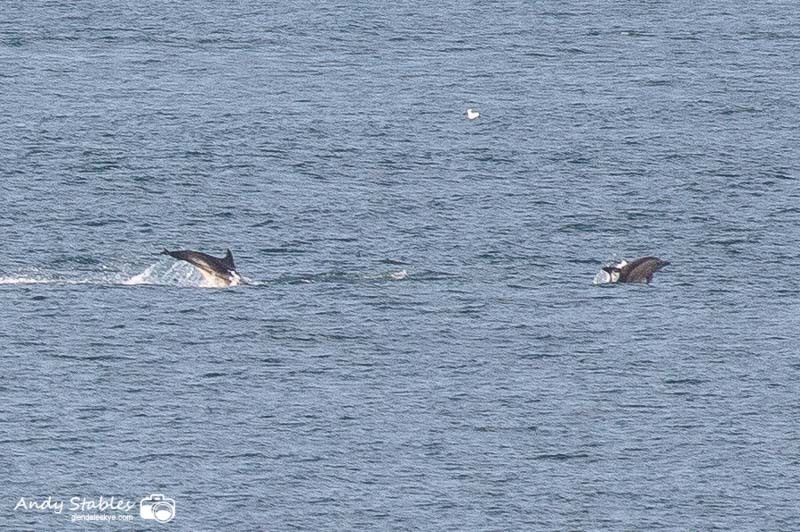 There was a small pod of 10-12 common dolphins out in the Minch off Lower Milovaig, mid afternoon. There was a male merlin at Oisgill Bay at dusk. The yellow-legged gull was on the skerries in Loch Pooltiel at 1:20pm. 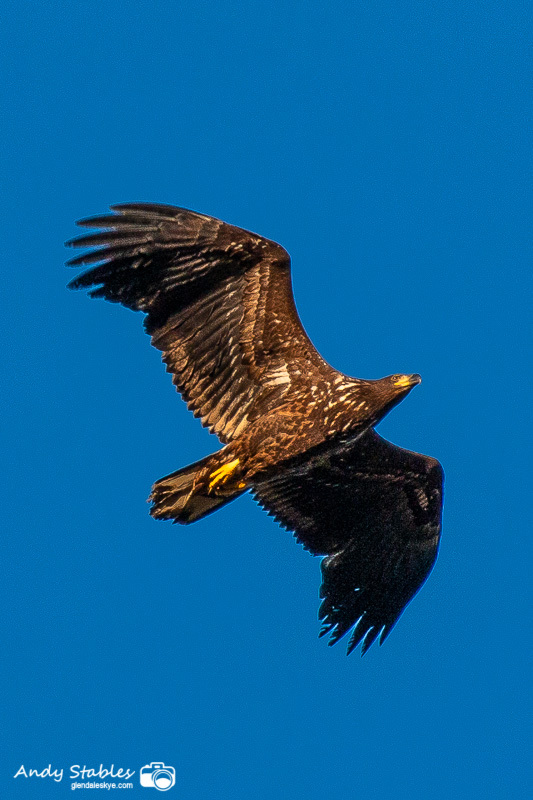 There was an adult white-tailed eagle circling below the top road in Lower Milovaig and a juvenile white-tailed eagle flew along the bottom road in Lower Milovaig, early afternoon. 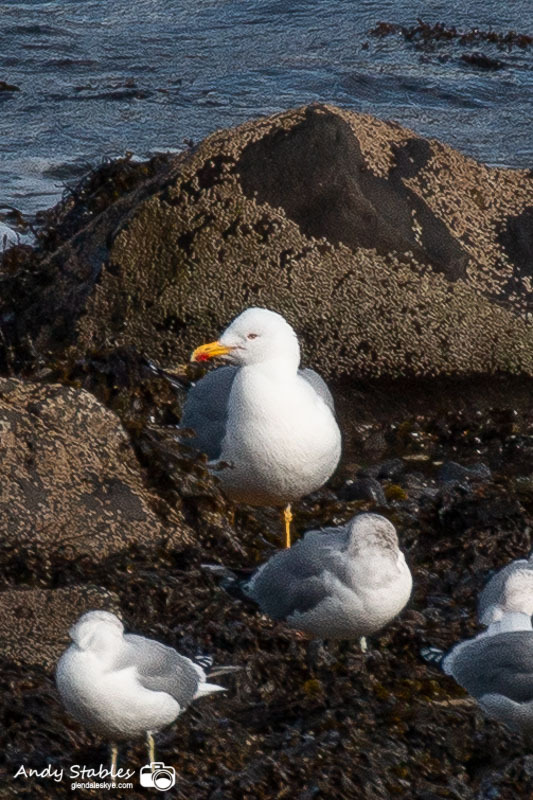 The yellow-legged gull was on the white beach at Lower Milovaig at 4pm. The first primroses have come into bloom around the Milovaig loop. The first lamb of the spring was at Hamara Parks. 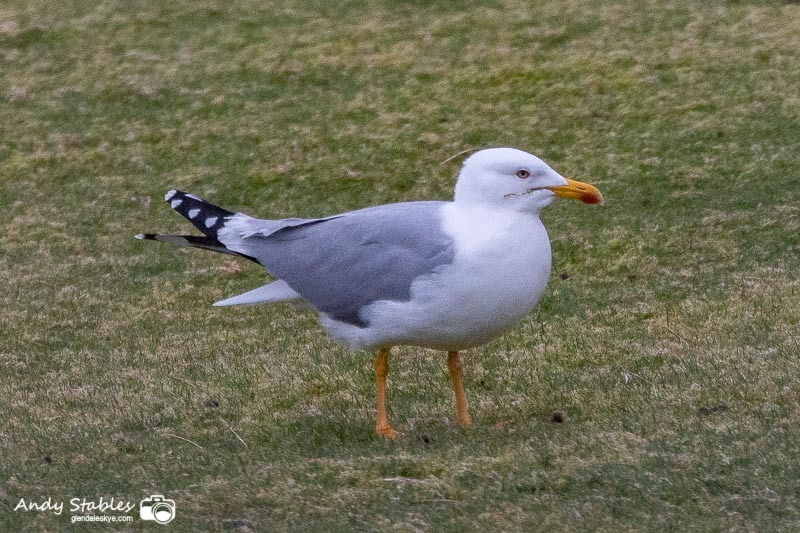 The yellow-legged gull landed briefly on the road outside 2 Lower Milovaig and then was relocated beside the road at Upper Milovaig, early afternoon. The black-throated diver was again feeding off the white-beach at Lower Milovaig, late morning. The yellow-legged gull was showing well on the white beach at Lower Milovaig from 9am until around 10am when it disappeared. It was later found on Loch Mor at Waterstein, early afternoon (Bob McMillan & Martin Benson). 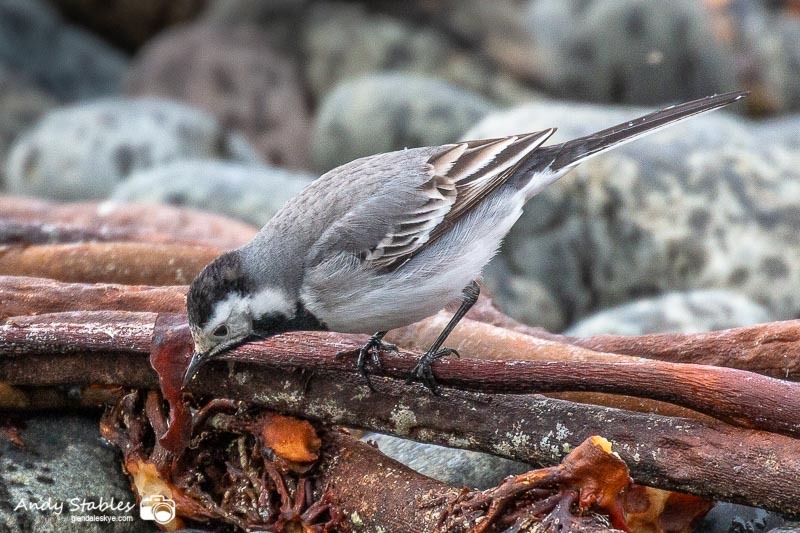 The first pied wagtail of the spring was back on the white beach at Lower Milovaig and the first gannet inside Loch Pooltiel of the spring was back in the morning.. There were twenty skylarks at the sheep feeders at 6 Waterstein, twenty-five skylarks at Fasach and 7 redwings at Waterstein (RMcM, MB). There was a flock of seven golden plovers at 6 Waterstein, mid afternoon (Brian Smith). The yellow-legged gull and iceland gull were both showing well this morning on the white beach and skerries at Lower Milovaig. There was an otter by the pontoon at Meanish, late afternoon (Anne Powell). The yellow-legged gull and 2cy iceland gull were both togther on the skerries in Loch Pooltiel at 10:50am (Anne & Graham Powell). 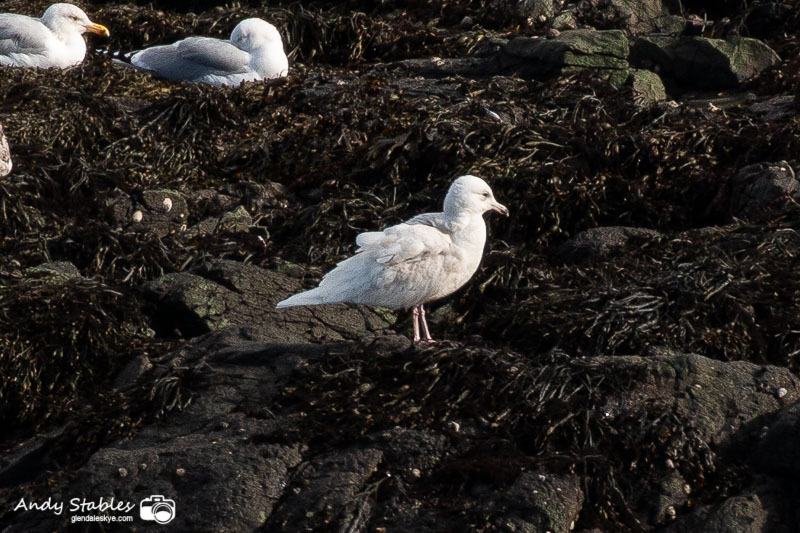 The iceland gull was again on the skerries and white beach at 10:30am (Anne Powell). There was a juvenile iceland gull on the white beach at Lower Milovaig from 9am. Joined by a lesser black-backed gull from 10am. There were four lesser black backs on the black beach at Pollosgan, late morning. 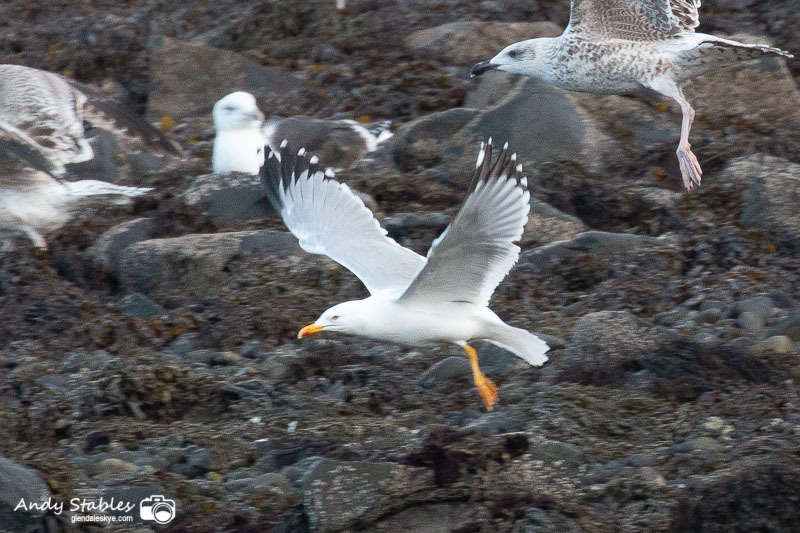 The yellow-legged gull landed briefly on the white beach at Lower Milovaig, late morning, before flying off with a herring gull in what appeared to be a courtship/bonding flight. The pair landed briefly at Feriniquarrie but could not be relocated (Andy Stables, Bob McMillan, Neil Bennett). 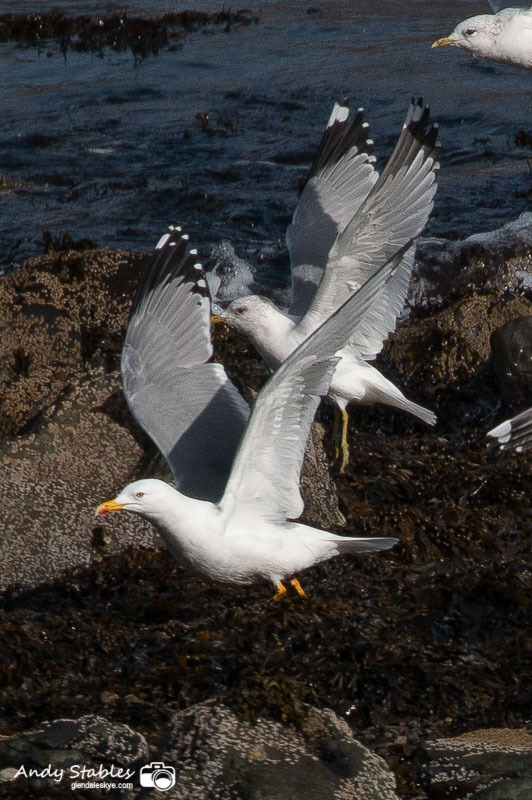 The yellow-legged gull was showing well on the white beach at Lower Milovaig from mid-day until at least 1:30pm (Andy Stables, Neil & Tricia Hinchcliffe, Lynden Schofield). There were two peregrines at Lower Milovaig at mid-day (Lynden Schofield). The first two lesser black-backed gulls of the spring were back at Hamara Parks at 4pm. 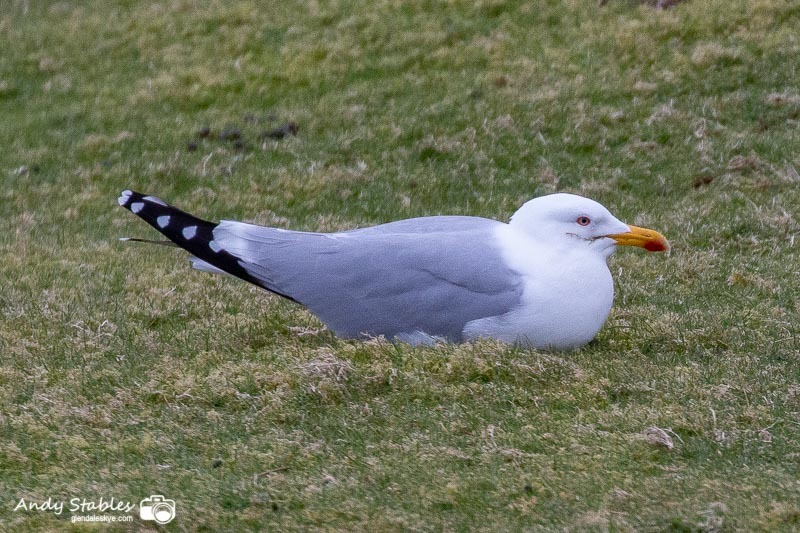 The yellow-legged gull was back on the white beach at Lower Milovaig from 11am until 12:30 pm and then again at 3:30pm (Andy Stables, Alison Stables, Graham Powell, Anne Powell, Martin Benson). There was a black-throated diver off the white beach at Lower Milovaig at 10am. A putative adult yellow-legged gull was on the white beach at Lower Milovaig, late afternoon. If accepted this would be the first record of this species for Skye. There were two adult white-tailed eagles over Meanish, early afternoon. There were two skylarks over 2 Lower Milovaig at 2pm. 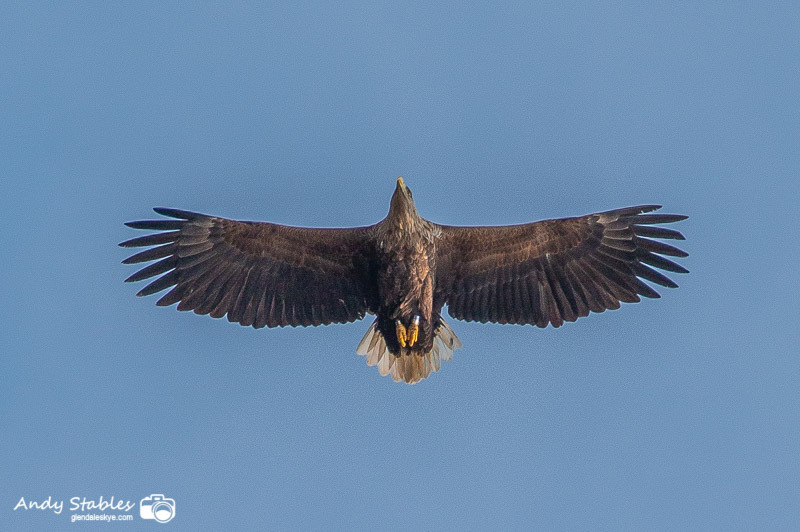 A juvenile white-tailed eagle flew from Pooltiel Fish Farm across to the big waterfall, early afternoon. There was a flock of 24 goldfinches in the garden at 2 Lower Milovaig at mid-day. A single skylark was calling at the seaward end of the Milovaig loop, early afternoon. A WeBS bird count at Loch Mor produced: 14 Little Grebes, 8 Mallard, 12 Goldeneye, 12 Curlew, 1 Redshank and 2 Skylarks (Lynden Schofield). A skylark was also reported from Lower Milovaig (Brian Smith). 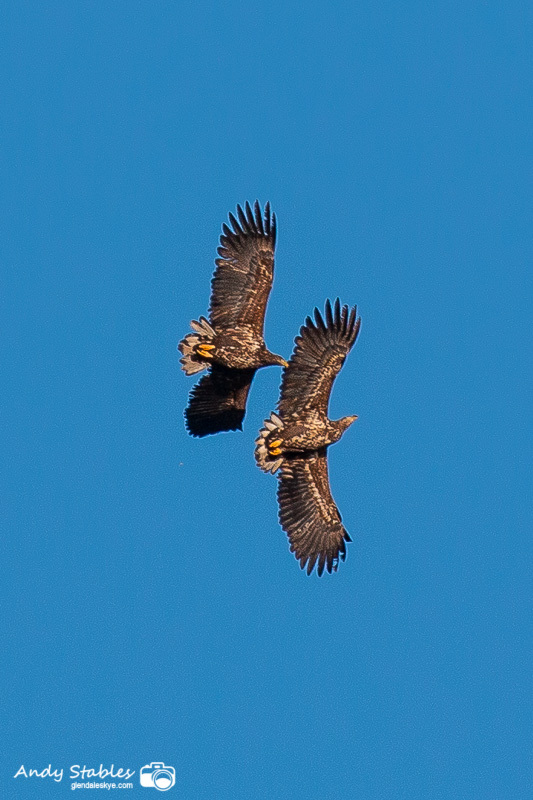 There were two juvenile white-tailed eagles at the seaward end of the Milovaig loop, late morning. 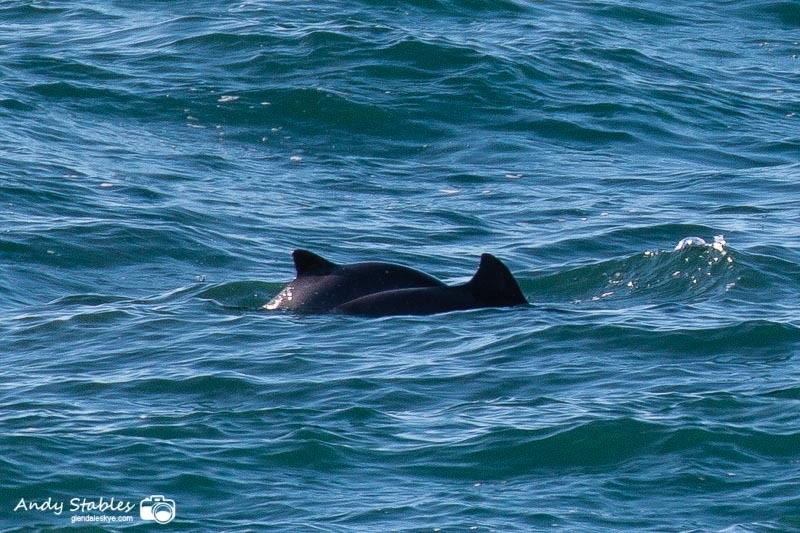 There was a pod of five or six harbour porpoises feeding close to the shore at Neist Point, early afternoon. Two gannets flew north past Neist Point, together with small groups of razorbills. 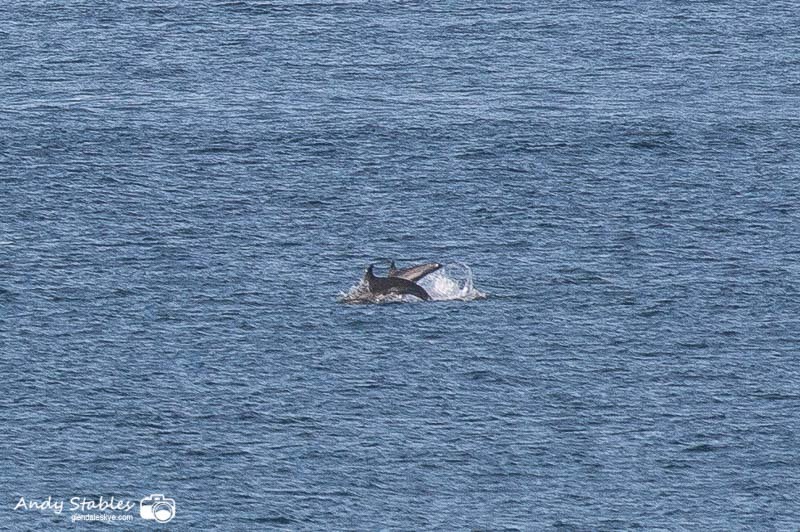 The first common guillemots, around twelve in total, and the first pair of fulmars were back on the ledges at Neist. There were a few kittiwakes off-shore. There were ten little grebes and six goldeneye on Loch Mor. There were 123 seals, mostly greys with a few harbour, on the skerries in Loch Pooltiel at mid-day. Two sub-adult white-tailed eagles were doing a bonding/display flight over Lower Milovaig, mid afterrnoon, before heading over to Upper Fasach. There was a chiffchaff in the play park at Lephin in the morning (Lynden Schofield). 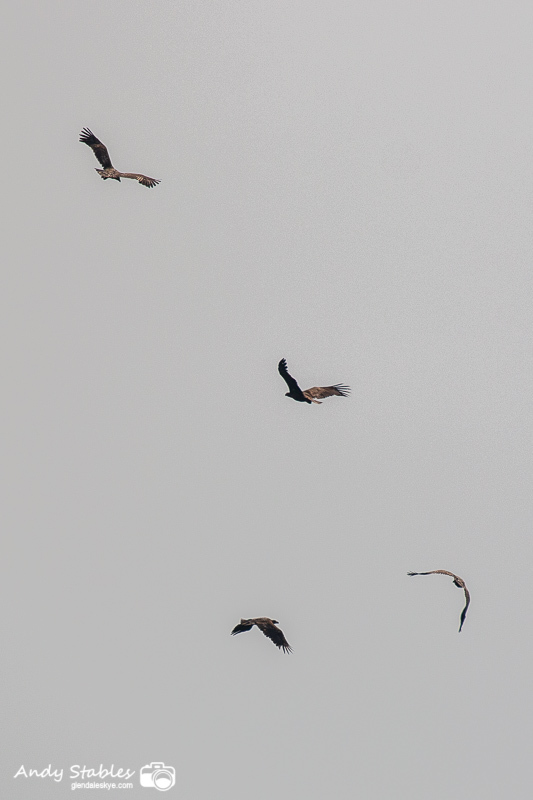 There were three juvenile and sub-adult white-tailed eagles and six buzzards circling near Meanish, mid afternoon. 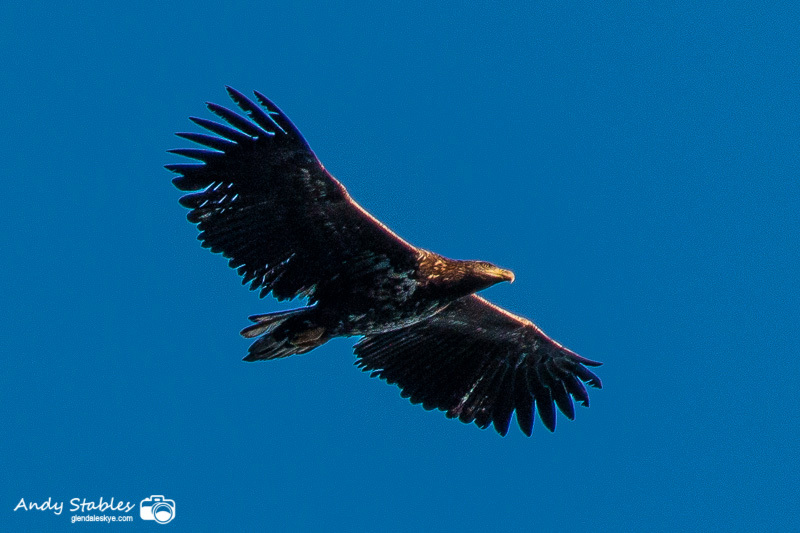 There were two pairs of adult white-tailed eagles circling over Moonen Bay, late morning. Just singles of fulmar, razorbill and black guillemot off-shore at Neist Point, with three cormorants still on the cliff and only shags back on the ledges. Two adult white-tailed eagles flew very low over the bottom road in Lower Milovaig at 9am and again mid afternoon, circling over the white beach. There was a white-tailed eagle soaring high over Upper Milovaig at 2:30pm. There were two white-tailed eagles low over the Hamara at Feriniquarrie at 8:40am. There were two white-tailed eagles over Scorr Farm near Scoval at 3:40pm. 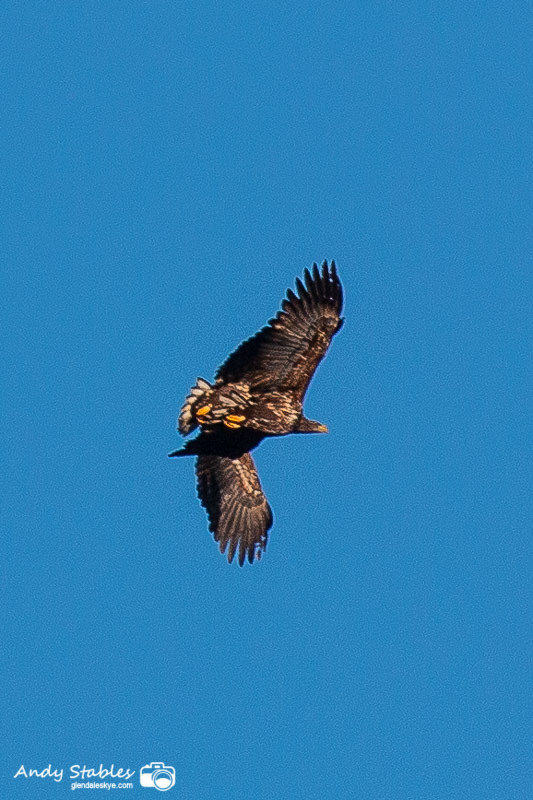 A juvenile white-tailed eagle flew south over Loch Pooltiel, late morning. There was a single cormorant on the skerries in Loch Pooltiel, late morning. There were four cormorants on the cliff at Neist Point. The shags are back on the nesting ledges. There was an adult white-tailed eagle amongst a flock of gulls that were surface-feeding in the mouth of Loch Pooltiel, near the fish farm, late morning. It headed off towards Upper Milovaig. An adult golden eagle flew over Upper Milovaig and onwards towards Upper Fasach at mid-day. The first two returning oystercatchers were back at Meanish today. There were two juvenile white-tailed eagles at the seaward end of the Milovaig loop and an adult on Dunvegan Head, late morning. There are still a pair of over-wintering stonechats on the top road in Lower Milovaig. A very happy New Year to all the regular readers of this blog and a warm welcome to new visitors!